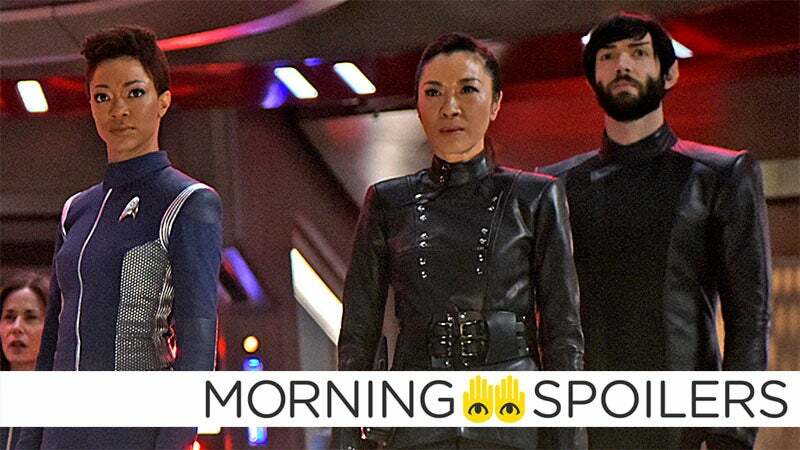 Video: There's a third next generation new generation Star Wars Star Trek movie in production, and it looks kinda cool. Star Trek Beyond, directed by the guy behind a bunch of Fast and Furious movies, follows on from Star Trek Into Darkness, and it looks a lot more mainstream than the previous flicks. This trailer is going to piss off a lot of faithful Trekkies, because it's not exactly classic Trek, but who cares, right? This is going to be the Fast and Furious: Tokyo Drift of the Star Trek franchise, and I'm completely fine with that. Kirk and Spock and Bones McCoy are back, there are explosions and space ships and a Beastie Boys soundtrack, and it'll be released on the 50th anniversary of the original series. From Paramount: From director Justin Lin comes STAR TREK BEYOND starring Idris Elba, Chris Pine, Simon Pegg, Zach Quinto, Zoe Saldana, John Cho, Anton Yelchin and Karl Urban. In theaters July 22nd.